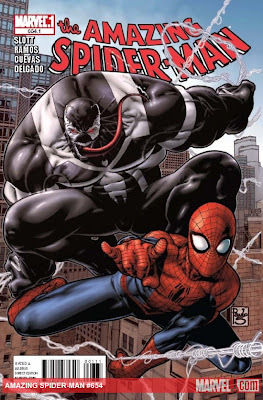 This week, I continue my Marvel Point One journey with Amazing Spider-Man. This is probably the Point One title that I am most familiar with; @Getsuyobi is a huge fan. I was also an avid viewer of the cartoon. In this issue, we follow Flash Thompson, Peter's high school bully/friend. We find out pretty quickly that Flash is, wait a dramatic beat, the new Venom. He isn't evil though; Venom is being used by the military for covert ops. Flash, as a wheelchair-bound veteran, has the skills and desire to be willing to risk using Venom. As we follow Flash on his first mission, we see that he can communicate with Venom, but he is in control. The mission takes them to a party filled with a lot of powerful people, including a terrorist that he bugs. We learn that Flash is only allowed limited time as Venom to prevent bonding with it. When the mission concludes, we go back to Flash's life. We meet his girlfriend Betty and learn that Marla Jameson, Jonah's wife, has died. Betty tells Flash that Peter is upset about it, so he goes to cheer him up. As he heads over, he is thinking about how Peter has got himself together, good job, nice girlfriend, Carlie Cooper... then he sees him talking to MJ, his ex. Flash doesn't know Peter is telling MJ that he is upset that he let Marla die as Spider-Man. Flash is tempted to interrupt but gets a Venom distress call. He has to don the suit to rescue someone he met at the party from the terrorist he tagged. He goes in, without backup, because of the ship's shielding. As he rescues the captive, he gets trapped by a terrorist called Flag Smasher, who looks like Batman. Flag Batman throws a bomb at Flash, and the resulting explosion gives Venom a chance to take control. Venom chews up Flag Batman, literally, and then spits him out. Best part of the book: Its not cannibalism if you don't swallow. So the mission succeeds, but the government guys realize that only 99% of Venom came off Flash. He also has greasy looking hair. They suspect that Venom bonded with Flash. And Flash has plans for Peter. I enjoyed this issue for a few reasons. One, there was great background given without it feeling forced. We got to learn about Peter through someone else's eyes. There was also good background given about other characters and the universe. Two, I felt like I was starting at a new story. This felt like the beginning, not jumping in during an arc. Granted, this was also a great intro for the new Venom book coming out soon. That's almost a downside. 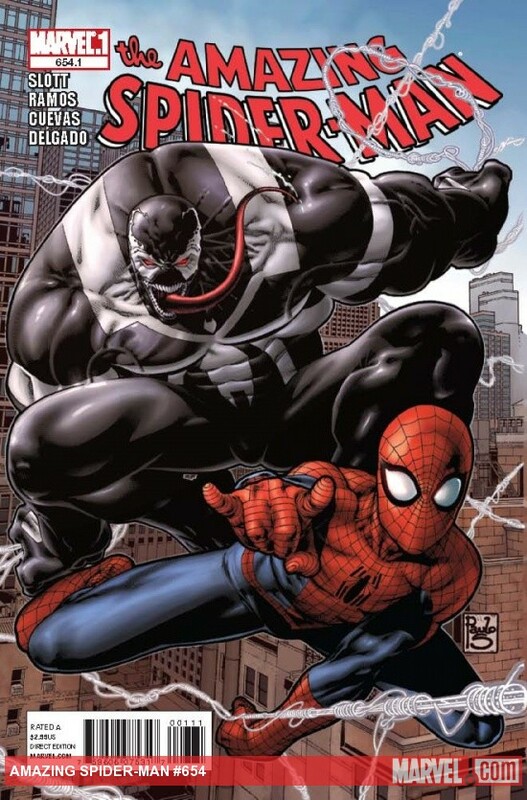 Dan Slott told such a great story that I am more interested in what happens to Flash as Venom than Spider-man. Based on Marvel's Point One initiative, this is a great read for new and old readers. I don't know if I liked it enough to add it to my pull list but I can see myself raiding @Getsuyobi's stash. Next week, there is no Point One issue coming out but hopefully there will be more news on new titles added to the Point One lineup. 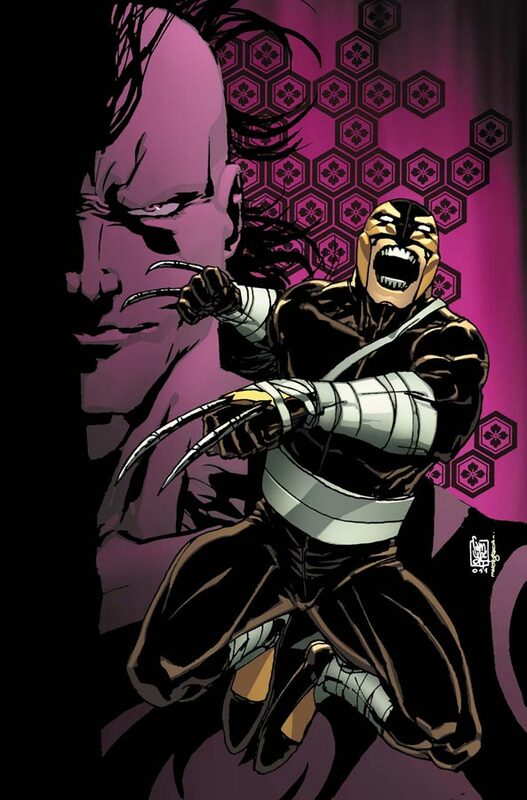 It has already been announced that Daken: Dark Wolverine and Alpha Flight will be added. I'm not sure how I feel about those titles being reader friendly but I'll find out when they are released. This may also be a hint of things to come; many of the current Point One titles have movie franchises - will Daken join his daddy on the big screen? !